Your trees are an investment. Taking the time to schedule regular trimming can yield investment dividends in your yard for years to come. 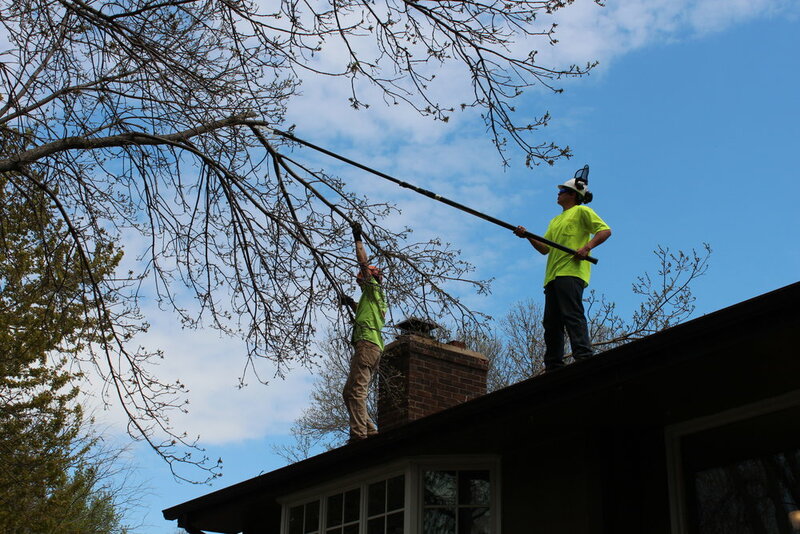 To help you maintain your investment, we provide tree trimming services in Minneapolis and help you keep your trees standing tall in every season. Trust us to be your tree trimming experts when it comes to caring for and maintaining your trees. To be healthy and strong, your tree will need trimming and thinning about every 3 years. When your trees are getting unruly, our expert team of tree trimmers help you ensure the health of your trees for years to come. When your tree starts to grow in ways you don't want it to - it's time for= corrective pruning. Whether you need to clear your garage from overhanging trees or correct and repair an improper cut, our certified arborist can help you identify the trees that need corrective pruning and develop a plan to get your trees back on track. When your tree's structure can no longer support it's weight, it's time for cabling and bracing. This can happen when your tree is multi-trunked or when your upper branches have weakened. The failure of your tree can mean property damage and a decline in your tree health. At True Tree Solutions, we use cabling and bracing to improve the structure of your trees and ensure safety for your entire family.